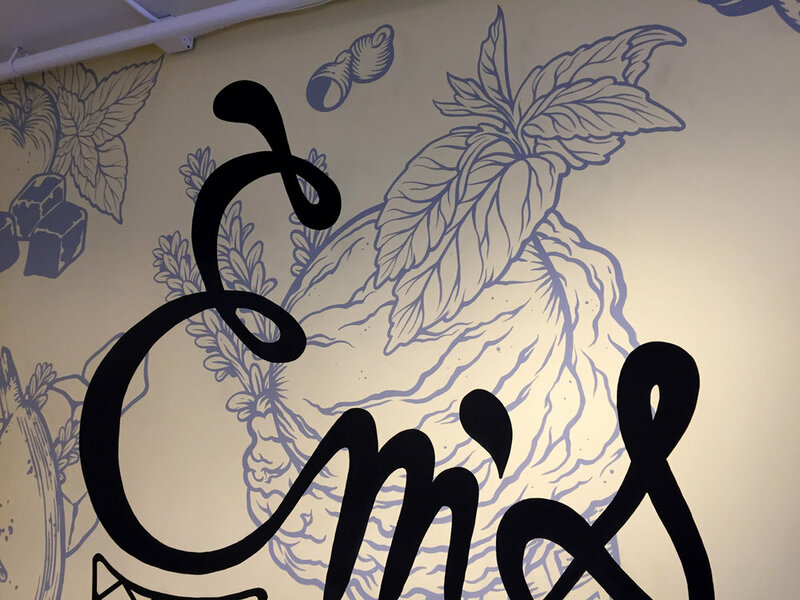 Ems Ice Cream Mural — The Woods Design Co.
We designed the Denver based organic ice cream company's logo and roll out branding when they first began. They started with a single ice cream stand, then two, then two ice cream trucks in addition. 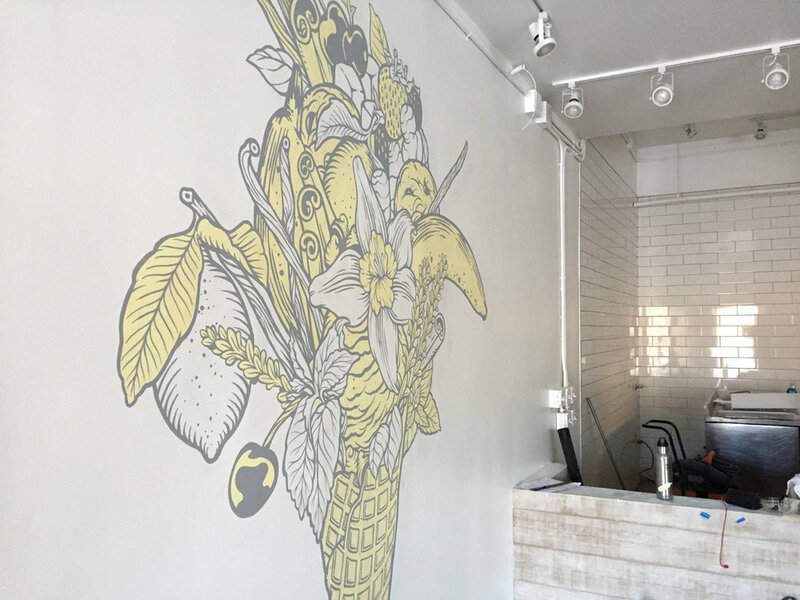 Em's took the leap to permanent storefront by securing a 1700 square foot commercial space in Denver for their flagship ice cream parlour and asked us to paint and brand the raw space. 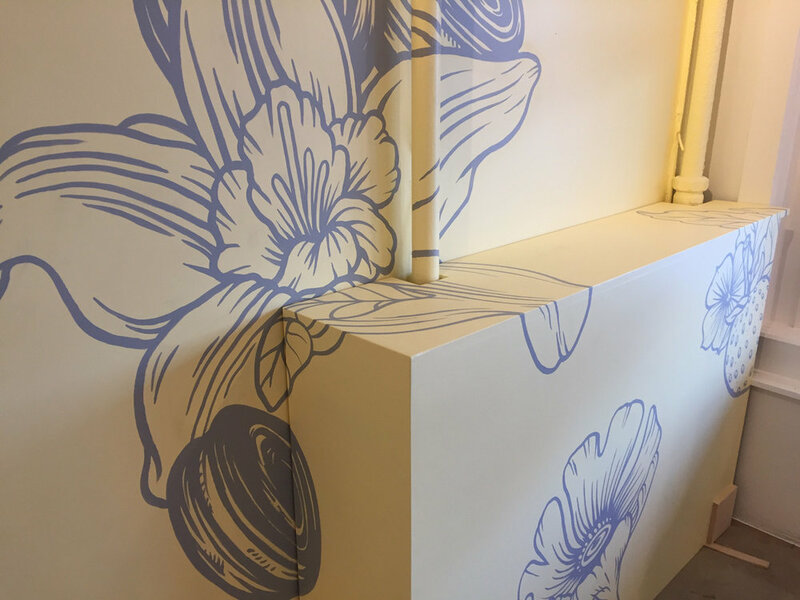 We carried over the signature pale yellow color scheme from their trucks and ice cream stands and extended it to the flagship store, creating original art based on the ingredients from their ice cream. We painted two walls in the space. 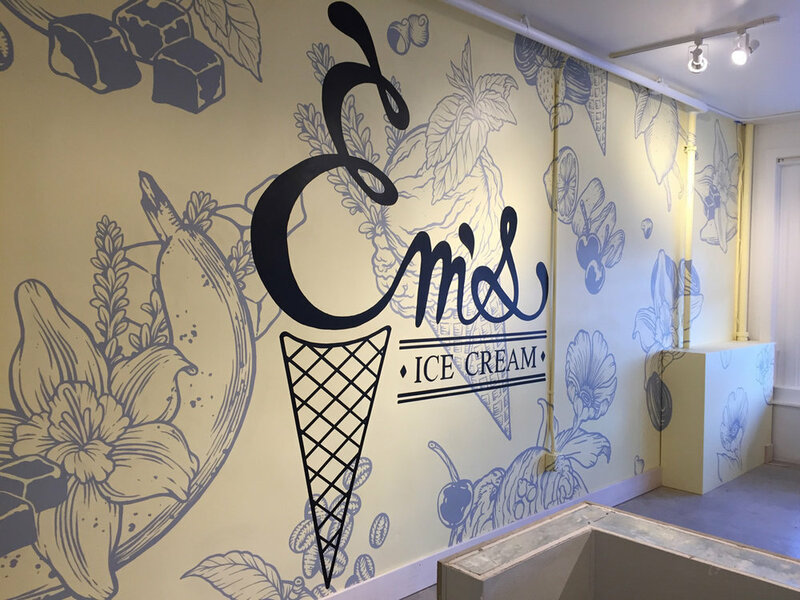 The biggest wall of the space we covered in a custom hand painted pattern with prominent Em's Ice Cream logo. On the secondary wall we painted the design we created for the employee uniforms: an ice cream bouquet.